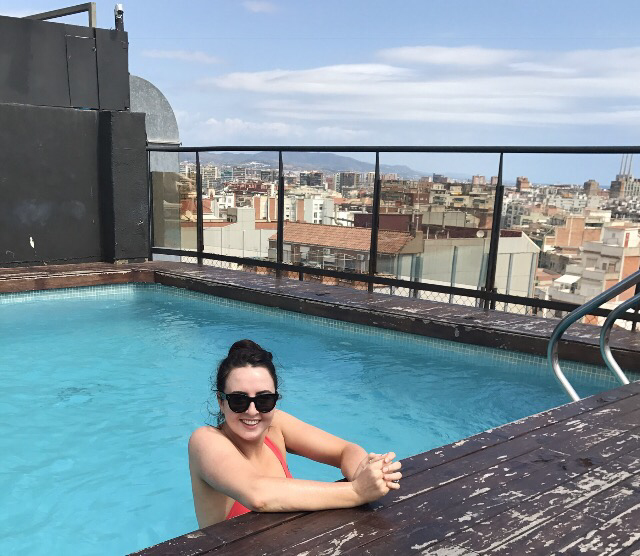 One of the most common questions I’m asked is, “where would you recommend for a weekend away in Europe?” Well, it’s very hard for me to choose just one so I thought I’d put an entire list of recommendations together. Honestly, these cities are among the best places I’ve ever been to, so whichever destination you decide to visit, I’ve no doubt that you’ll have a ball. I had never heard of Wroclaw before my husband booked a trip for us there (I’m guessing most of you haven’t?). 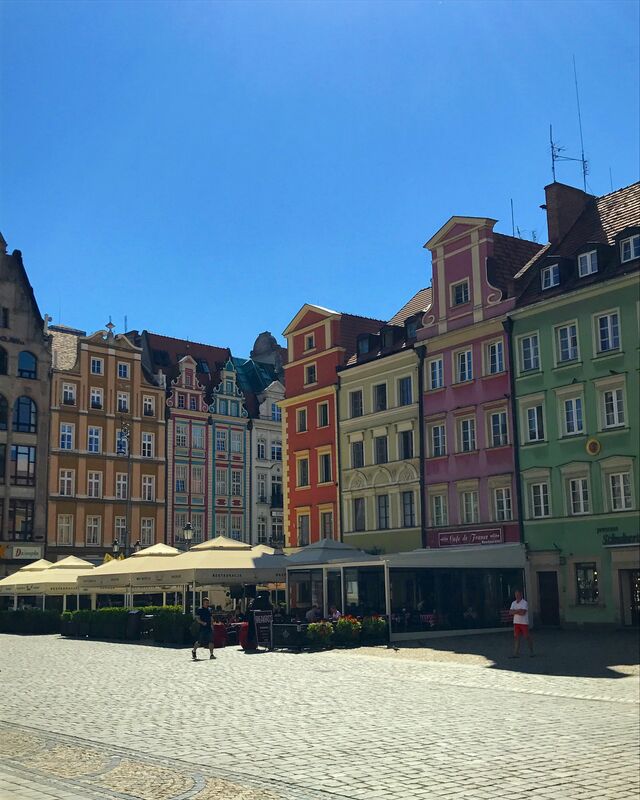 It’s a city in Poland and it genuinely stole my heart! The definition of a hidden gem. I rarely visit the same place twice but I know I’ll return to Wroclaw! You can read all about our trip here and you can watch my vlog on my Facebook page. There are few places quite like Barcelona. It’s one of the only places in Europe, let alone Spain, where you can enjoy the best of both worlds – a city break and a beach break. Most hotels have roof top pools and bars with a full 360 view of the city. More about Barcelona here. I loved Berlin! Full of history, plenty of things to do, and the city itself is beautiful. 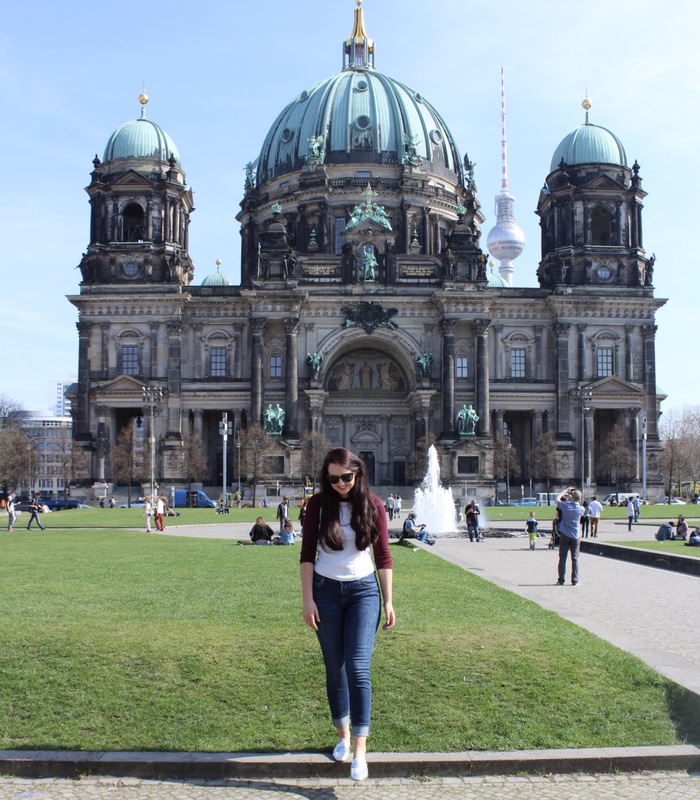 I loved seeing the Berlin Wall but my favourite parts were the walking tour and the abandoned airport! You can read about prices, how to get there, where to stay and more things to do and see here. Brussels was fun! There is not LOADS to do but enough to fill a couple of days. We travelled to Bruges one of the days and it was like something out of a storybook! Even if you’re only in Brussels for 2 days, I would travel to Bruges for one. More details on our trip here and you can watch my vlog on my Facebook page. Ah Venice… probably the most beautiful place I have ever seen. 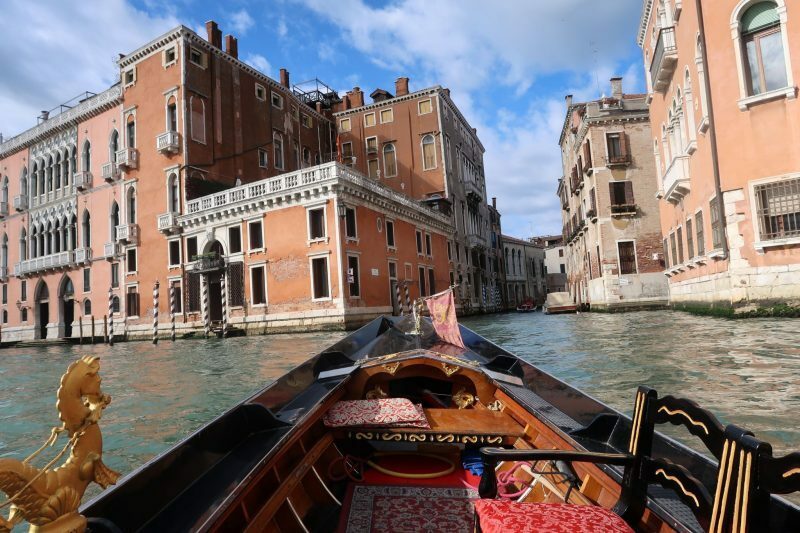 The gondolas, the people, the food and the surrounding islands, make it the perfect destination for a weekend getaway! Read all about our anniversary trip here, including how to save a bundle on flights and accommodation. Check out my Venetian vlog on my Facebook page. I need to go back to Rome! I was there 7 years ago and although I’ve seen it all, I can’t remember it all vividly. Although I do remember it being EXTREMELY expensive! So bear that in mind before booking. 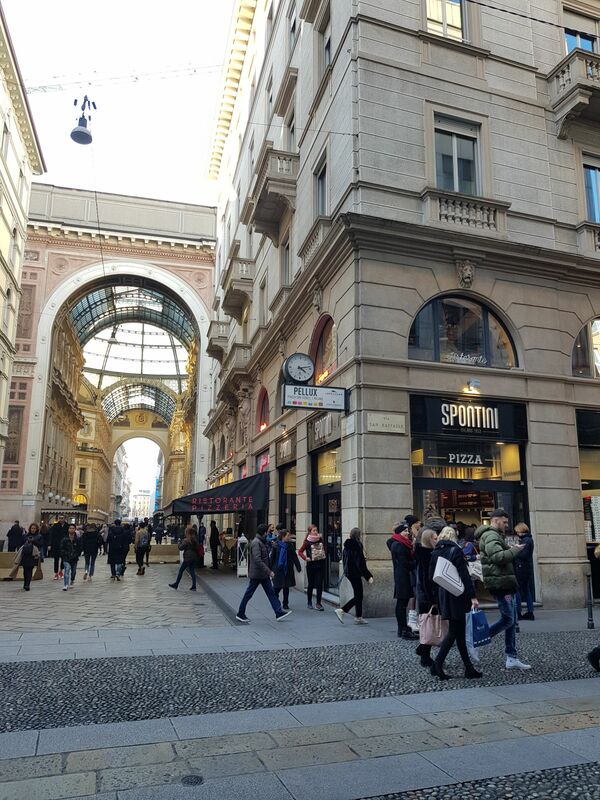 Milan is such a beautiful city. There is plenty to do, lots of history and architecture, shopping and loads of eating to be done! Lots more pictures and information on how to get there, accommodation and prices here. I always assume that my followers are all Dubs! But my analytics tell me they’re not, they’re not even all Irish (I know, crazy!). So for those following me, who live elsewhere in Europe or the world, if you haven’t visited Dublin yet, you need to! I have been to a lot of places in the world and, on any level, Dublin is an amazing city! Full of things to do, great craic, good food and awesome people :p. I have a couple of blog posts on things to do in Dublin; find them here. 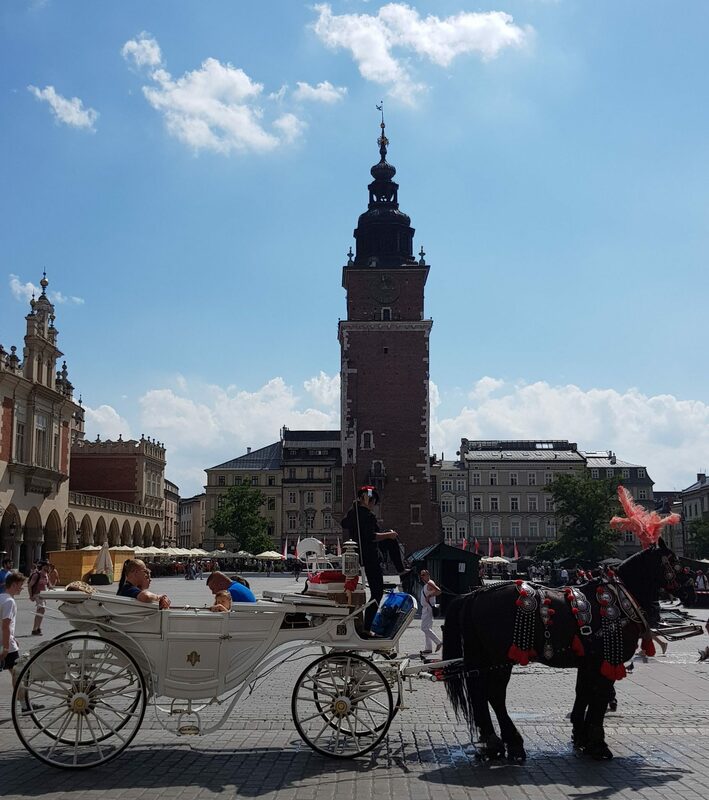 Krakow is fabulous and of you want to visit the Salt Mines and Auschwitz, they’re both closer to Krakow. I’ve written about Krakow in detail here. I want to visit more of Poland because I loved Krakow and Wroclaw so much! Oh and did you know Inglot is half the price in Poland? Yes… check out my haul and price list here. Out of all the places on this list, I’ve been to Liverpool the most. 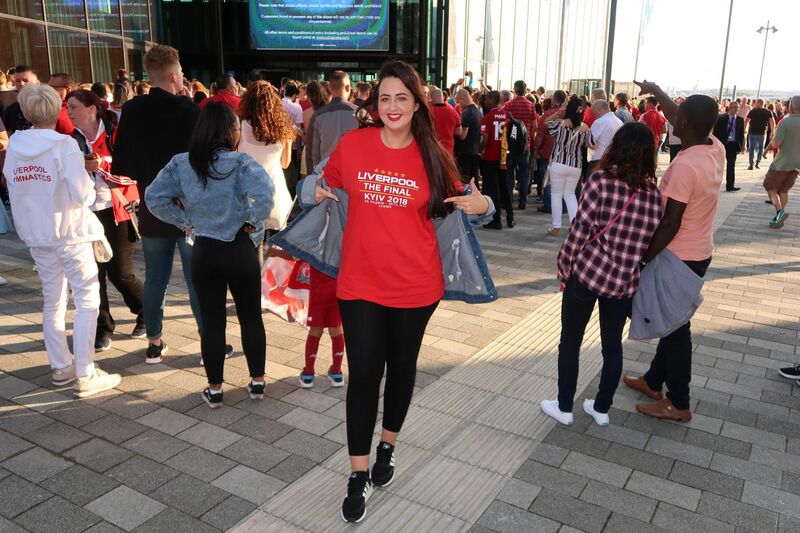 It is so handy and cheap to get to from Dublin and, even if you’re not a Liverpool FC fan (why? ), you will love it there! The last time we went, we stayed down at Albert Dock and it was like an entirely different city! A side I had never seen before. I definitely recommend it. Watch my vlog on Facebook to see more. Last but certainly not least, THE DAM! You would not believe how prejudice I was against this beautiful city before I visited. I thought I would hate it but I loved it SO MUCH. I’ve been twice and I’ll definitely be going back. There is so much to do and such a nice energy about the place. Everything you need to know about Amsterdam can be read here. Europe is so accessible with budget airlines like Ryanair and Aer Lingus travelling to almost everywhere. Sign up for their email notifications and wait for the sales to book! There you have it pals. I hope you have been bitten by the travel bug!